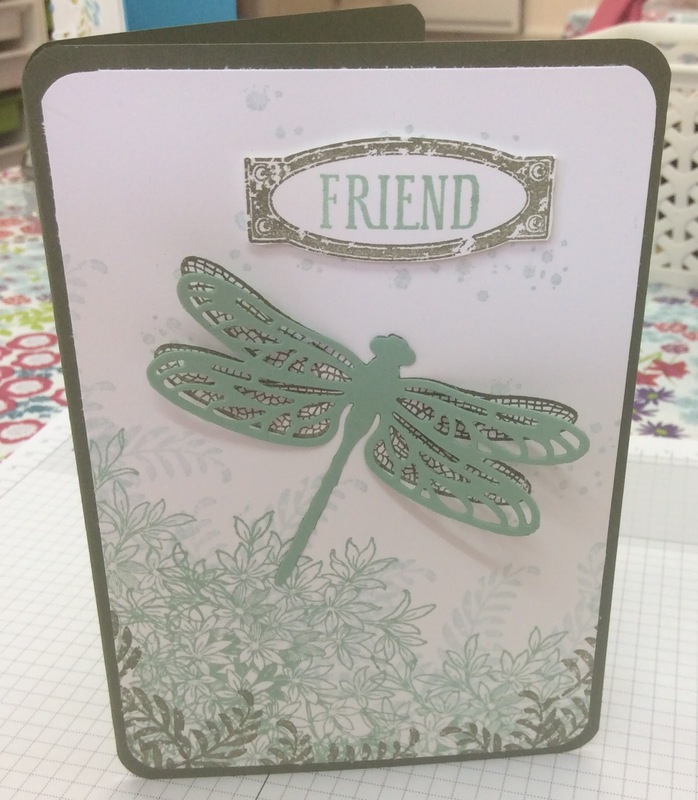 This is the third card and has the dragonfly stamped and die cut on the front. 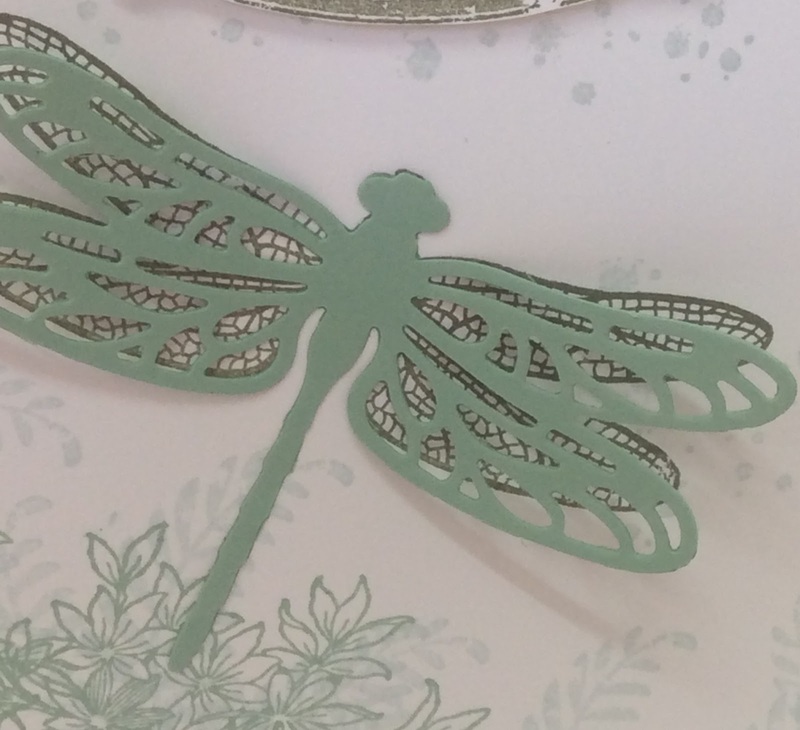 All other elements of the card are from the Awesomely artistic set. I love this colour combination, its Mint Macaron, Always Artichoke and Soft Sky, I feel its another fresh spring combination.